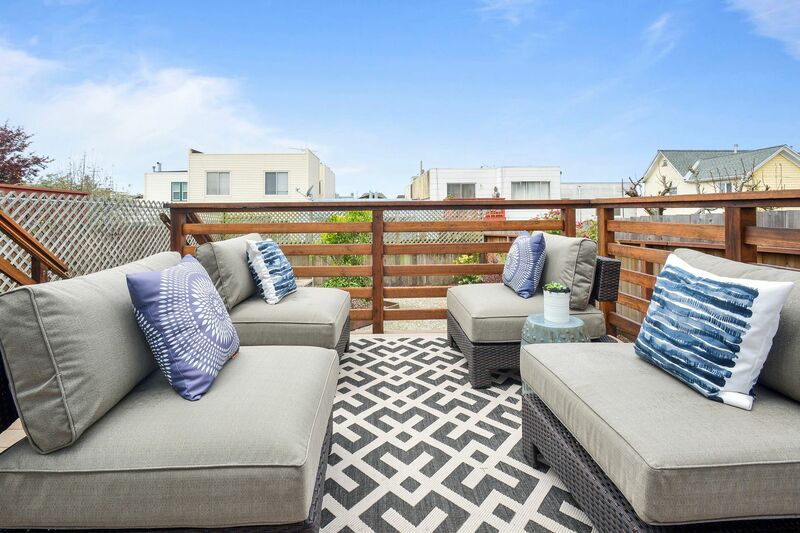 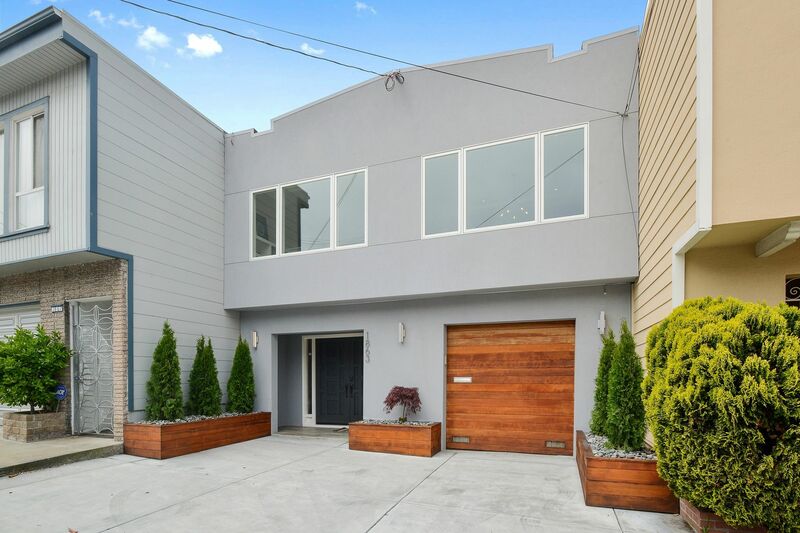 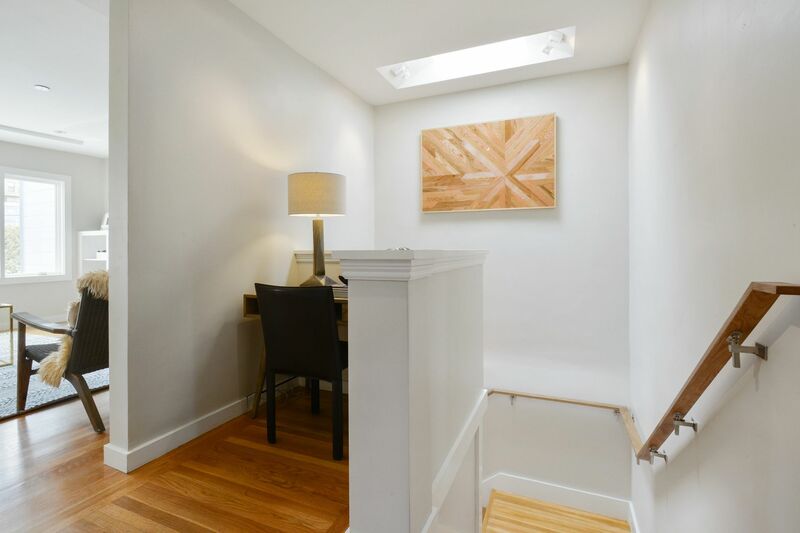 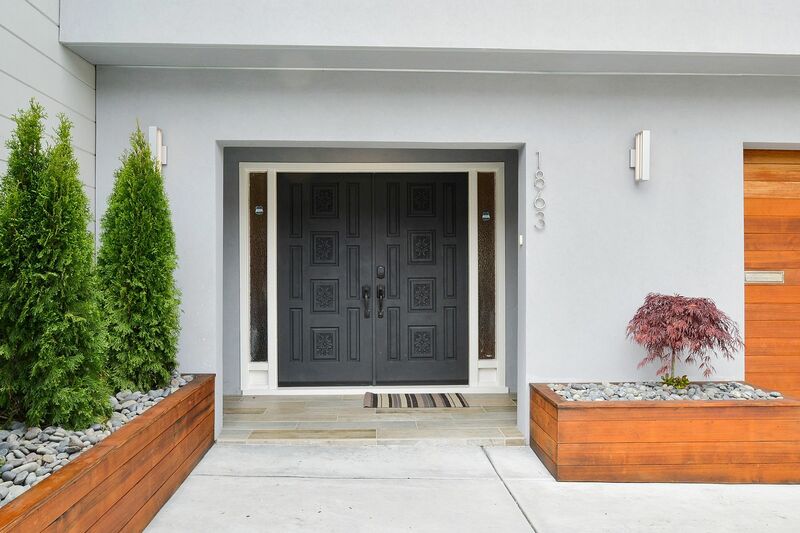 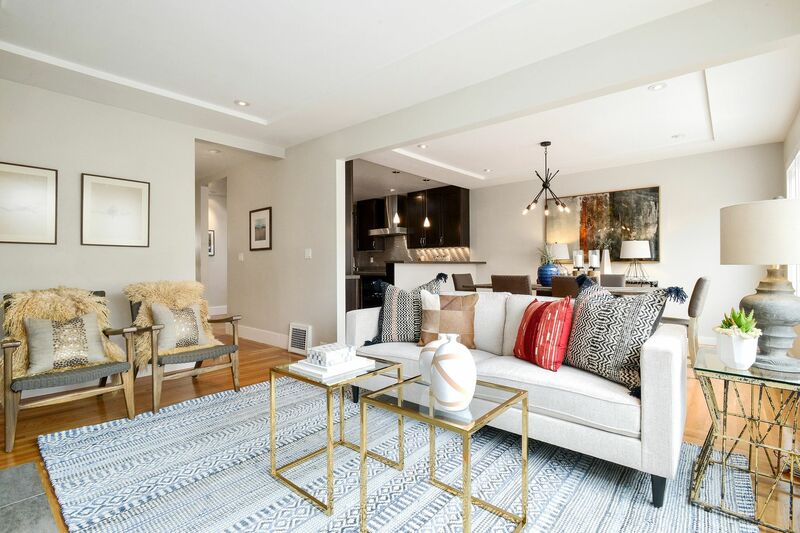 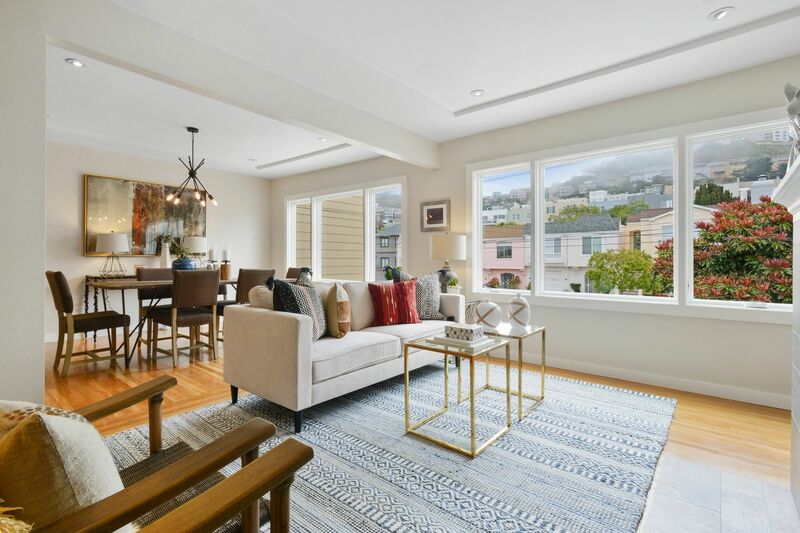 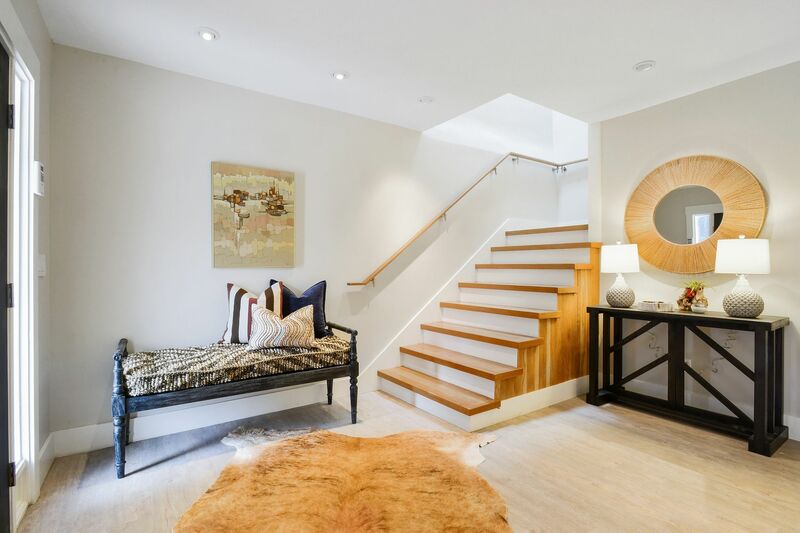 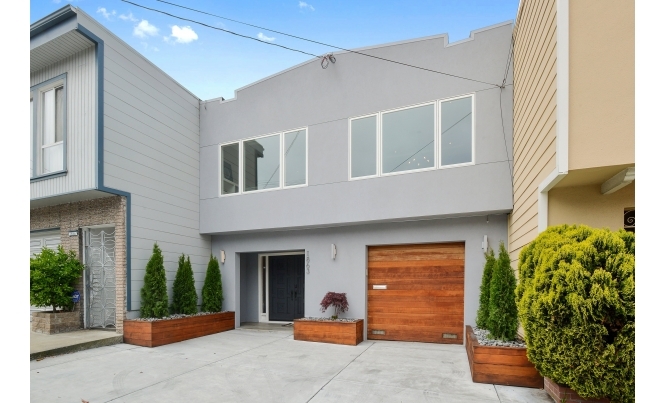 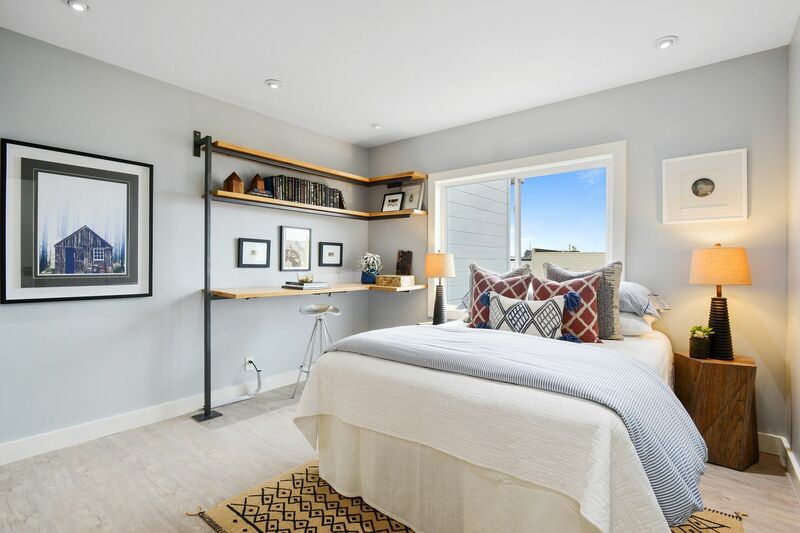 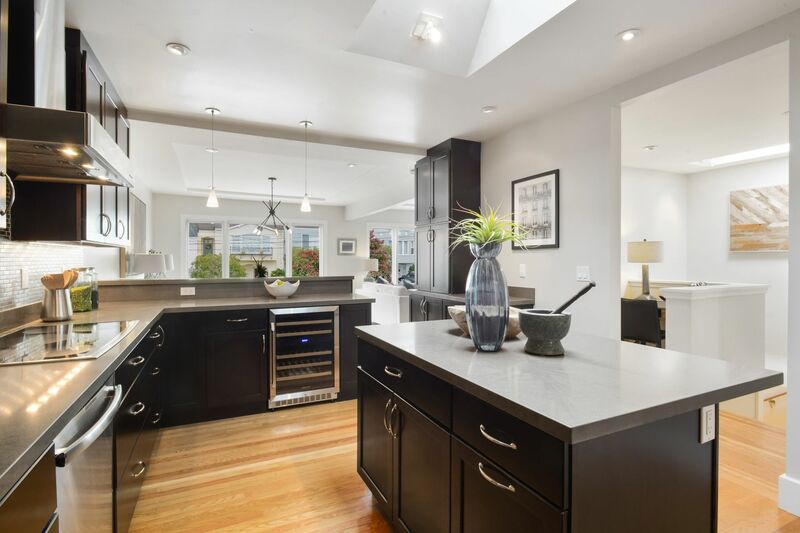 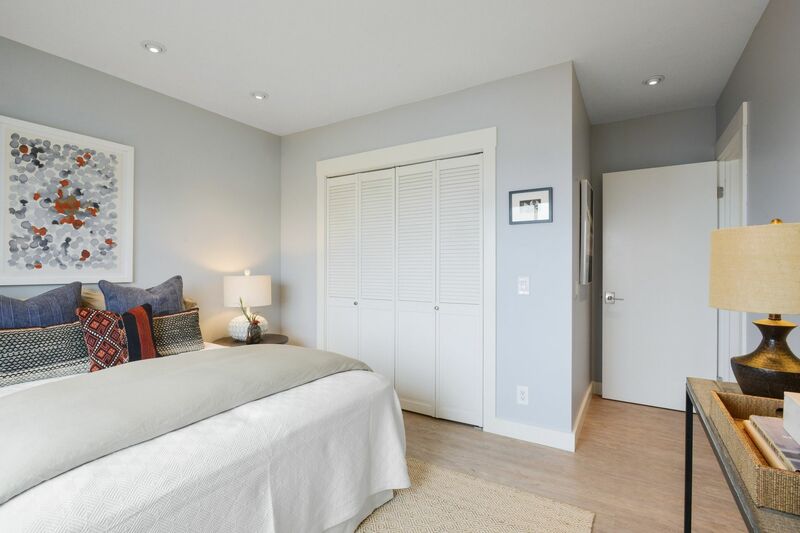 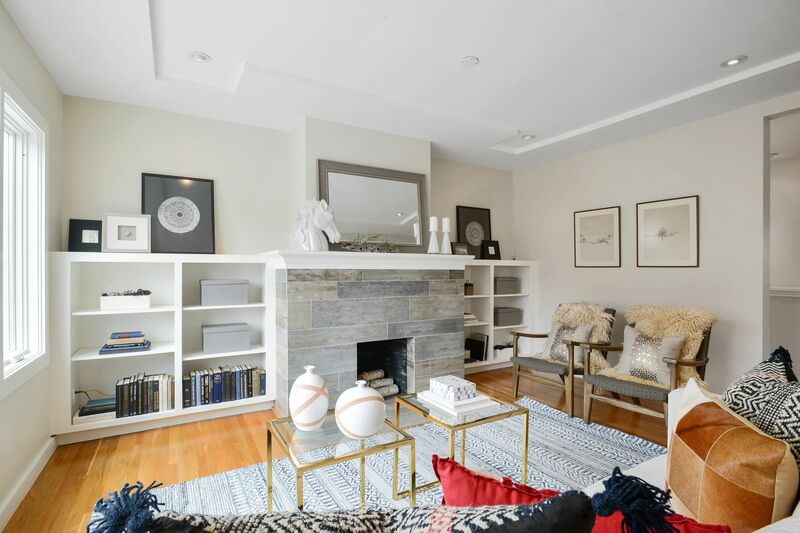 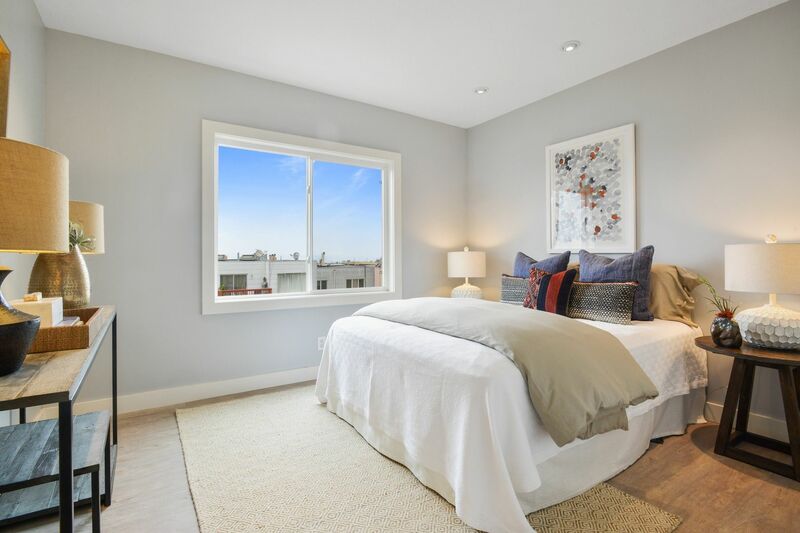 Located on a desirable block of the Inner Sunset, this tastefully remodeled home was designed for comfort, ease, and modern living. 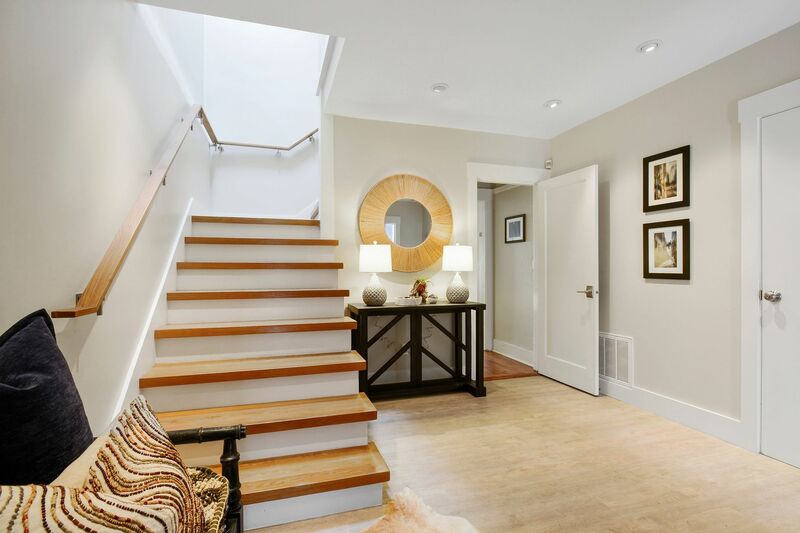 Entering the Grand foyer, an interior LED-lit staircase leads to the bright upper level featuring an open floor plan that’s perfect for entertaining. 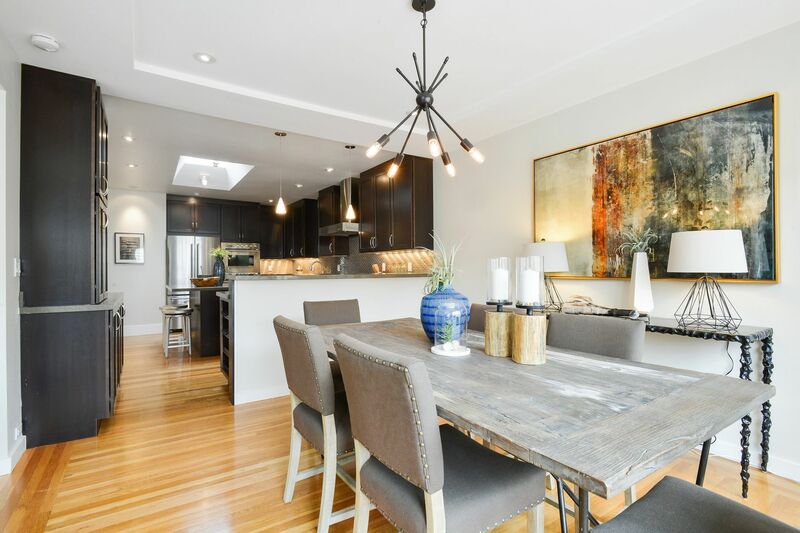 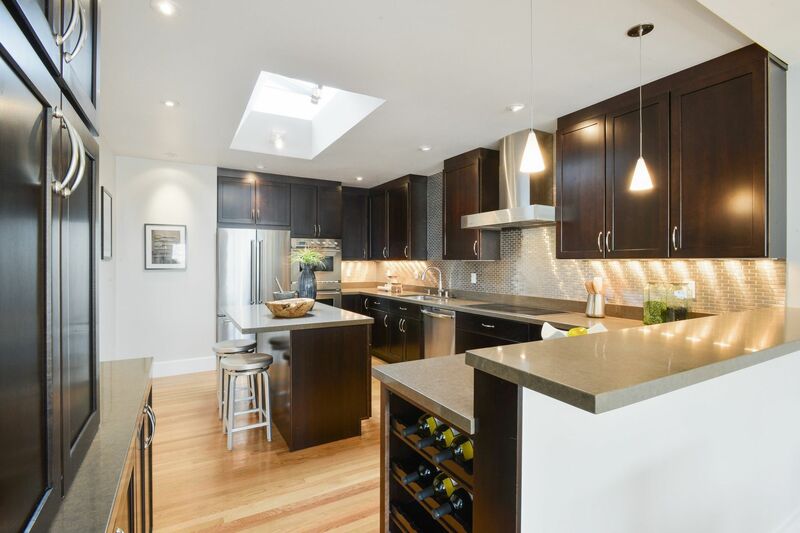 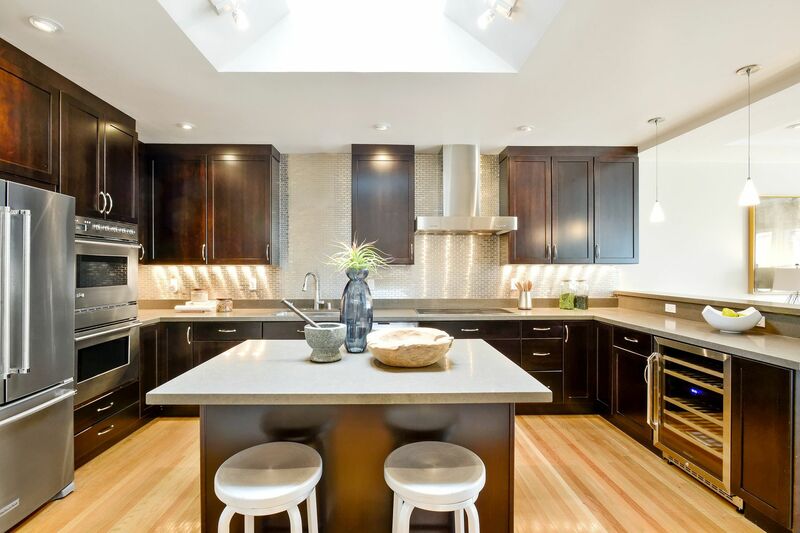 The Chef's kitchen is well thought-out with a breakfast bar, high-end appliances, abundance of cabinets and a central island drenched in sunlight thanks to a strategically placed skylight. 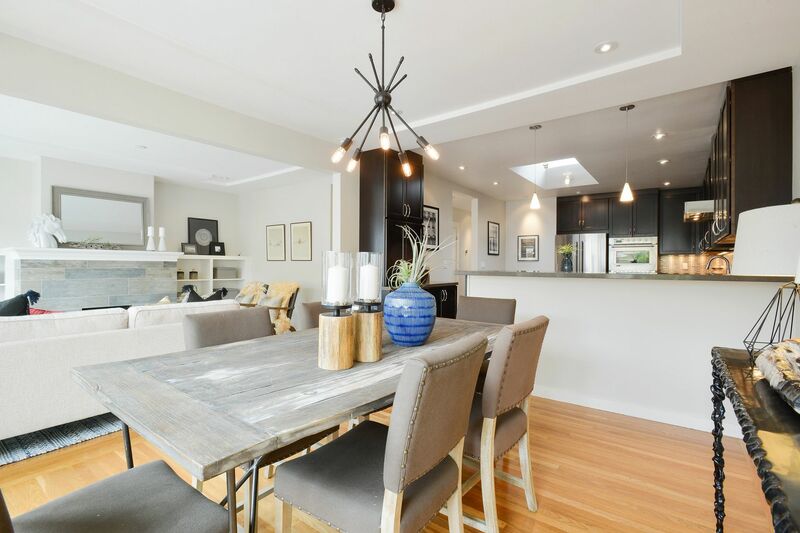 Adjacent is an open dining/living area with wood burning fireplace. 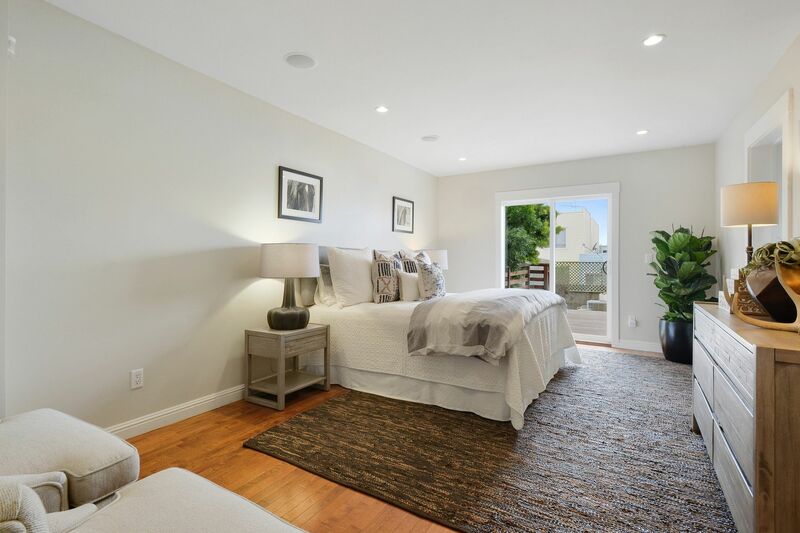 This level also includes two generously sized bedrooms with ocean views and a remodeled bathroom with a walk-in rain-shower. 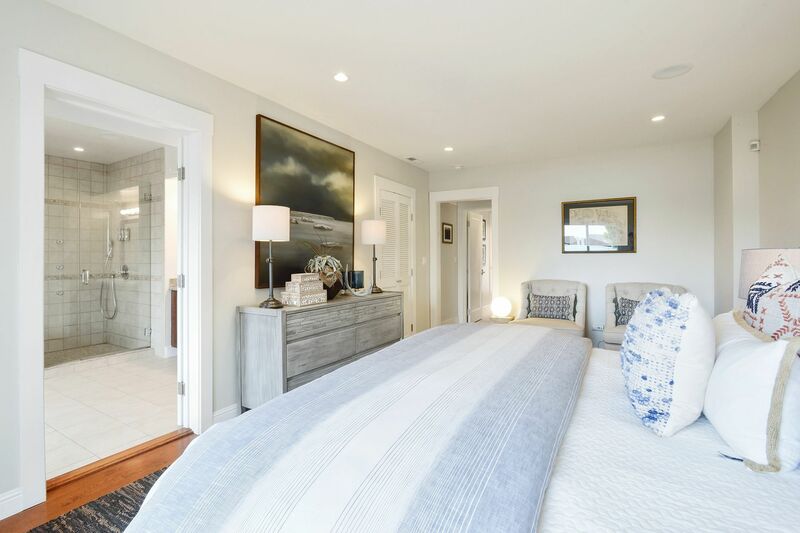 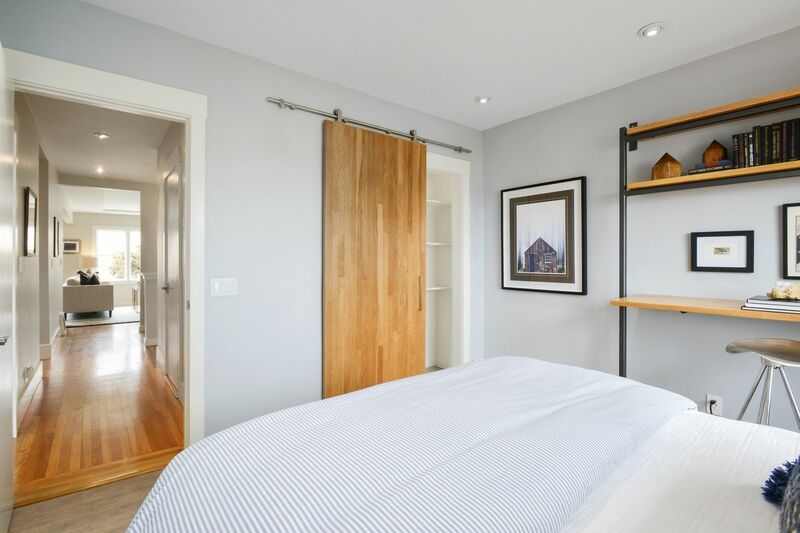 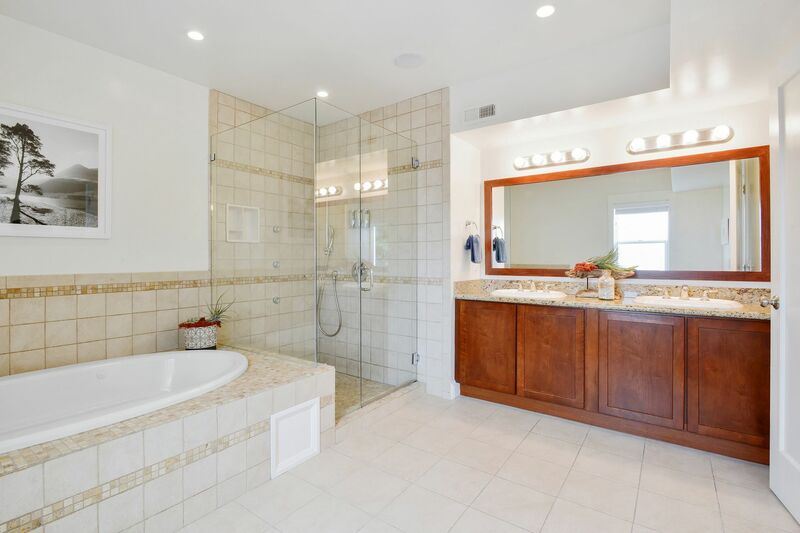 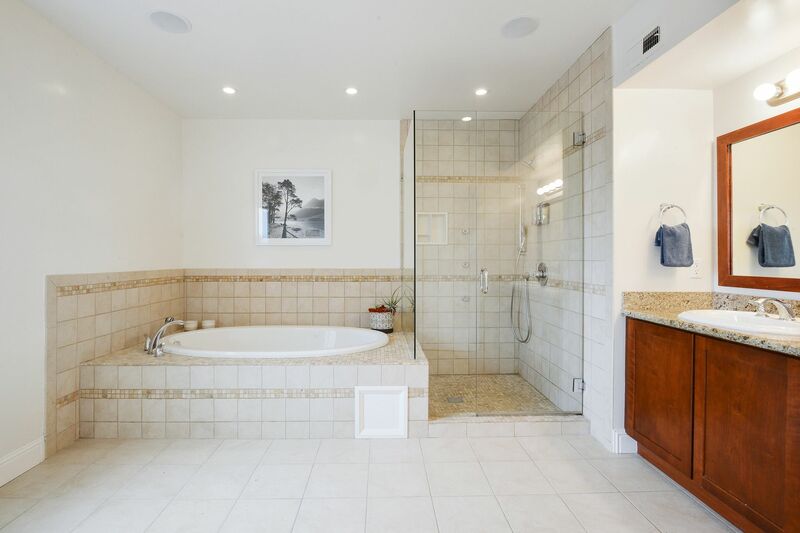 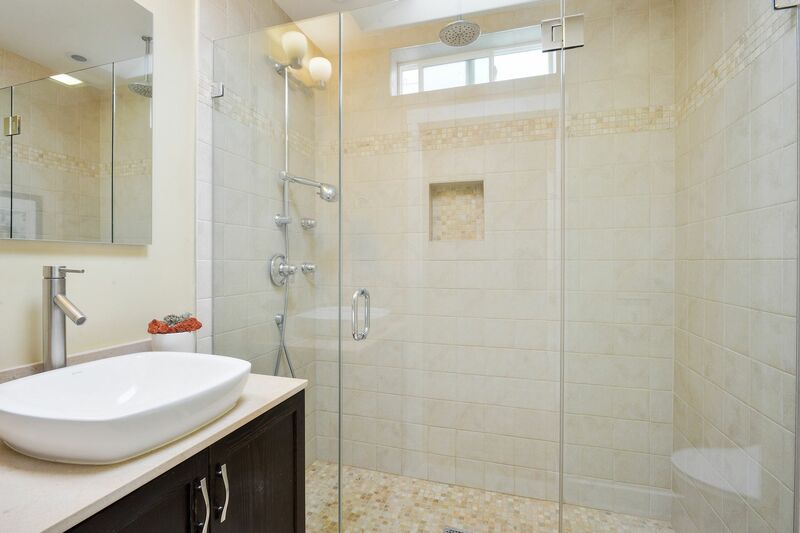 Downstairs is home to a large Master Suite with a walk-in closet and a spacious spa-like bathroom with whirlpool tub, shower stall, dual-sink vanity, and radiant floor heating. 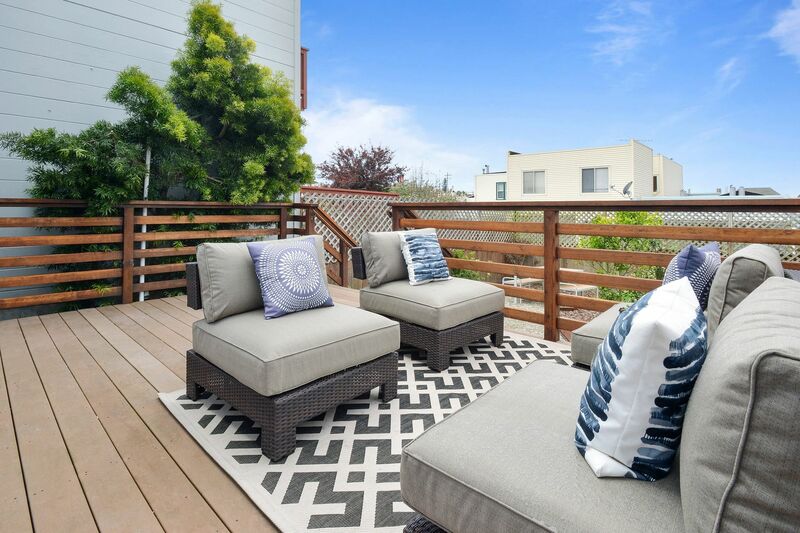 Relax on the West -facing walk-out deck and enjoy the landscaped backyard. 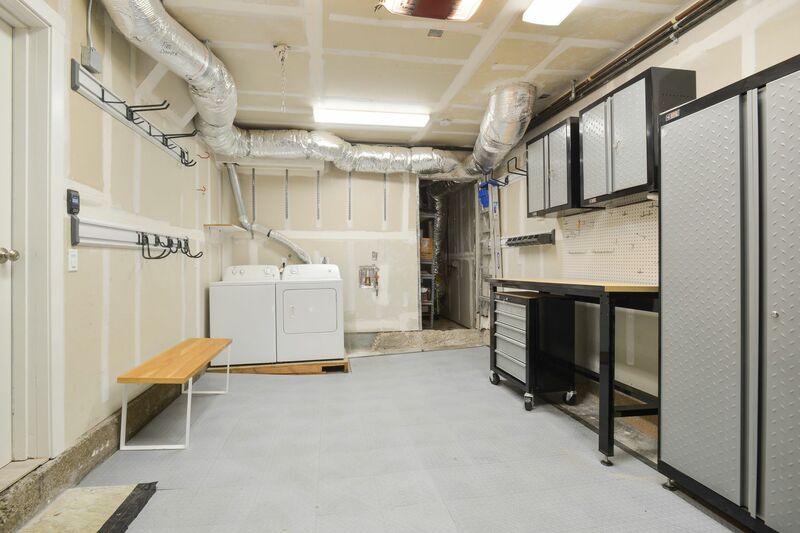 Remodeled from the studs out, additional features include newer roof, windows, furnace, plumbing/electrical upgrades, a one-car garage with 2 exterior parking pads out front, storage and laundry. 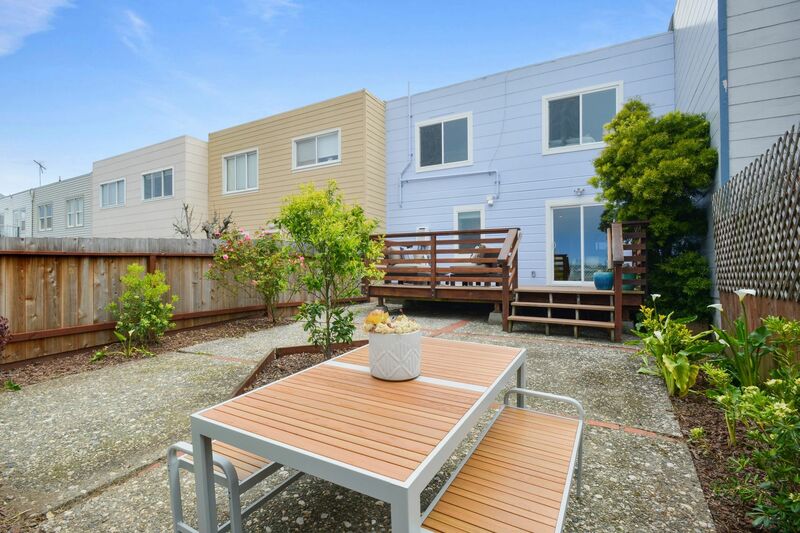 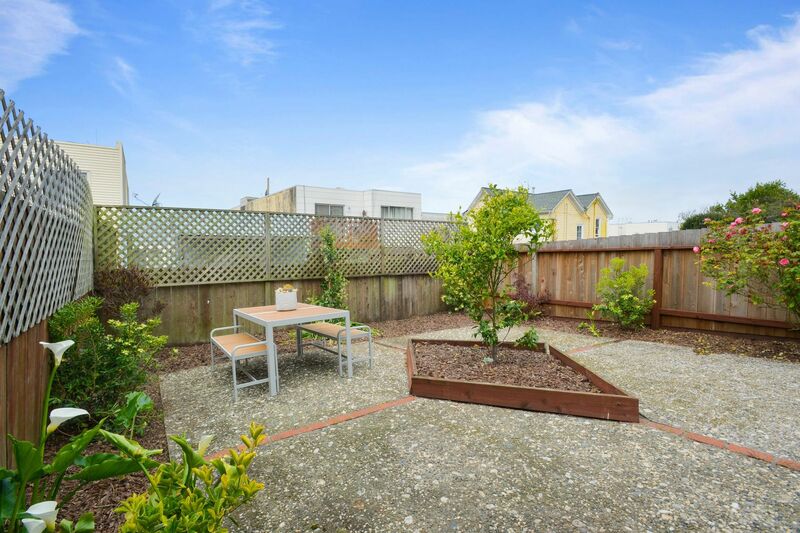 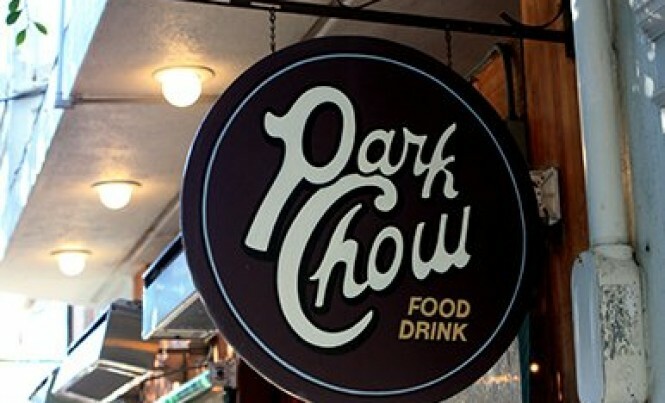 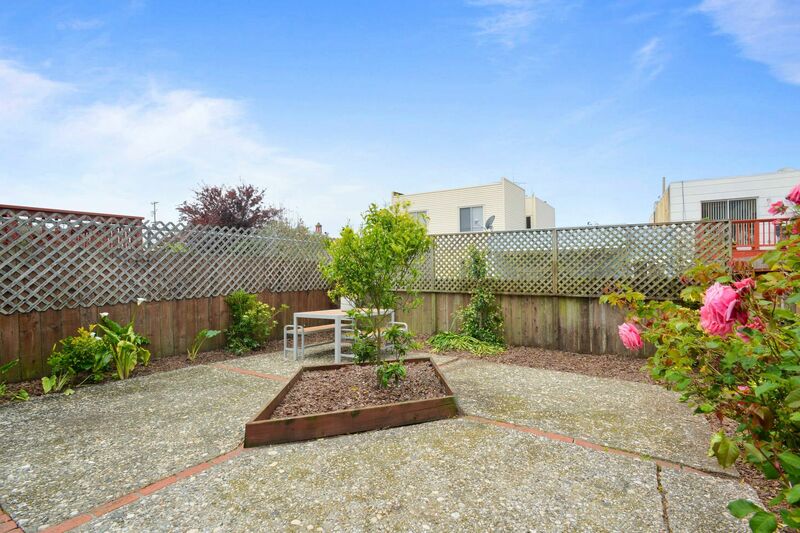 Ideal location, a few blocks from Golden Gate Park, and minutes away from dining, shopping, and transportation options (including tech bus pickups). 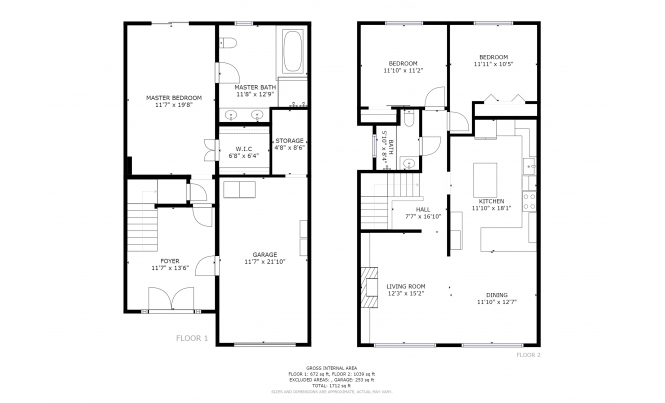 This is the home you’ve been waiting for!